Stephen Merrill was a pioneer settler in the Glades country of western Maryland. He established a 200 acre farm on Hoop Pole Ridge where he would live for over fifty years, raising his family of eight children. His descendants would remain on this land for another seventy years after his death, while his other children would migrate westward with the growth of our expanding country. Born about 1800, Stephen Merrill was likely the second or third son of Philip Merrill of Allegany County, Maryland. Various secondary sources give his place of birth as “near Frostburg”. Stephen Merrill was likely born just north of Frostburg on a farm called “Ridge”, the place where his father had settled upon migrating to Maryland sometime before 1800. However, the little community was known as “Mount Pleasant” at the time of Stephen’s birth. The town would not become organized and take the name of “Frostburg” until more than a decade later. The first documented evidence of Philip Merrill living in Maryland is found in the 1800 U.S. Federal Census, where he is listed as living in “Wills Town” with his wife, three males under age 16, and three females under age 16. 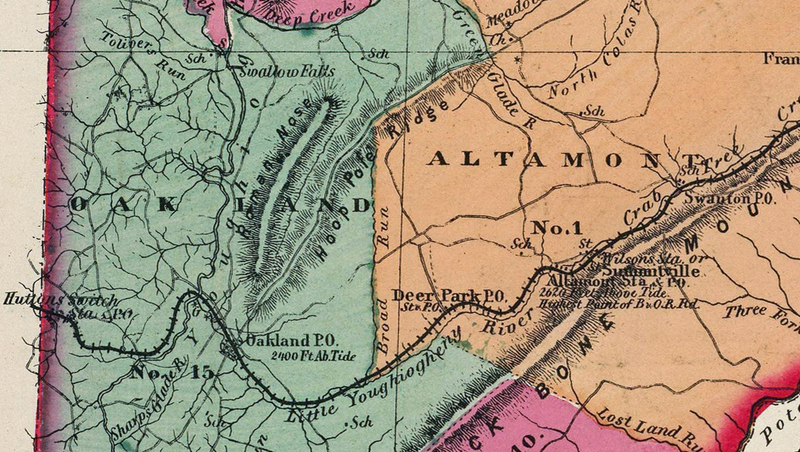 “Wills Town” is a historical designation for the region extending from Cumberland on the Potomac River northwards to Pennsylvania following Will’s Creek. The “Wills Town” district included land along Jennings Run from Corriganville to Barrelville, and also the territory of present-day Mt. Savage and Frostburg. Captain Charles E. Hoye’s genealogical and historical work, Hoye’s Pioneer Families of Garrett County, states “Stephen Merrill, son of Philip, died September 28, 1883, aged 92 years, 10 months, 21 days.” From this information, Stephen Merrill’s calculated date of birth is November 7th, 1790. This date is frequently cited by various genealogical researchers. However, a review of the federal census records, a consideration for the ages of his wives, and a calculation of his likely age at the time of the birth of his children would lead one to deduce a significantly different date of birth for Stephen Merrill. The 1850 census information appears to be in error and must be disregarded. Stephen Merrill was not listed in the 1880 census for unknown reasons. Only two of the remaining seven census records allow for a birth year of 1790. Minor errors (+/- 1 year) occurred if the census taker did not list the subject’s age as of the census date, which was usually different from the date the information was collected. Within this range of error, the date of birth that would correlate with all seven census records would be mid-1799 to mid-1800. Again, allowing for the minor errors (+/- 1 year) occurring when the census taker may have listed the subject’s age as of the date the information was collected, the birth date would be about mid-1804. Nancy was likely slightly younger in age than her husband, Stephen Merrill. As no primary source information for the birth date of Stephen Merrill is known, the secondary source information from the eight census records documented during his life must be given the greatest weight in determining his approximate date of birth. This would place his date of birth in late 1799 or early 1800, or “about 1800” for our purposes. This date is also supported by an analysis of the ages of his two spouses and by his age at the time of his childrens’ births. Stephen Merrill grew up in a rural agricultural community at the eastern foot of Big Savage Mountain. The identity of Stephen’s mother, Philip Merrill’s first wife, is not known. From available records, Stephen appears to have had an older sister named Lydia (born about 1785), an older brother named Jesse (born about 1788), and a brother named Nicholas (born very close in age to Stephen). Records of other children have not been documented. Stephen’s mother died shortly after his birth and before the recording of the purchase of the “Ridge” farm in 1805. Philip Merrill married again, after 1805, to Margaret Perry. He would have at least six more children by Margaret. The 1820 census lists Stephen Merrill as the head of a household of two – himself and his new wife, Catherine Workman. The date of their marriage is not known. Catherine was likely the daughter of one of the Workman families who were close neighbors to the “Ridge” farm. By 1820, the land holdings of Stephen’s father had increased to about 180 acres. The young couple were likely living on a part of his father’s land as there are no deed records documenting Stephen’s ownership of any acreage. In the census, Stephen was listed as engaged in agriculture, presumably working on his father’s farm along with his brothers. The couple’s first child was born in 1824, Philip M. Merrill, presumably named for Stephen’s father. A daughter would follow nearly three years later, Rebecca Merrill. “Witnesseth that the said William W. Hoye for and in consideration of two hundred dollars to him in hand paid, the receipt whereof is hereby acknowledged, hand bargained, and sold, and by these presents he the said William W. Hoye doth grant, bargain, and sell unto the said Stephan Mirrel his heirs and assigns all the following piece or parcel of land being two hundred acres, part of a tract of land called Veronica the Nun”. “Veronica the Nun” was a tract of land originally surveyed in 1787 and divided into 50 acre lots to be given as a bounty to each soldier who served at least three years in the Continental army during the Revolutionary War. Of the more than 4000 military lots surveyed, only 2575 were actually allotted to veterans, and most owners sold their lots to speculators for an average price of twelve dollars. John Hoye obtained the rights to the tract of land called “Veronica the Nun” being 955 ½ acres total, and conveyed it to his brother, William W. Hoye, in 1828. Stephen Merrill’s purchase of 200 acres appears to have included the Military Lots numbered 801, 802, 1040, and 1038. “Stephen Merrill moved to his new home here about 1831. His frame house he built just below and east of the road from Yough Glades which followed the top of Hoop Pole Ridge north”. The farm was located about two miles north of the village of Yough Glades (renamed Oakland in 1849 with the organization of the town). The road along the summit of Hoop Pole Ridge followed the old Seneca Trail and no longer exists. The site of the Merrill Farm is today commemorated by a small drive, Merrill Lane, on the west side of Route 219, north of Oakland. The 1830 federal census lists Stephen Merrill and wife Catherine still living in the district north of Frostburg, having added their third child in 1829, Nicholas Merrill, and awaiting their fourth child, Stephen Merrill (Jr), who would arrive in October of 1830. The following spring the family of six would move to their new home in the Glades country. The 1840 census is the first record of the family living in the Glades district, now with seven children including two more daughters, Sydney A. Merrill and Mary Ellen Merrill, and a fourth son, George William Merrill. The eighth and final child born to this family, Isaac Merrill, arrived in June 1841, presumably at the Merrill Farm. By the time of the census of 1850, however, two significant changes in the composition of the Merrill family at Hoop Pole Ridge had occurred. Catherine, the mother, apparently died prior to the census date of June 1st, 1850, although there is no primary source record of her death known to this author. She was buried in the family cemetery on the Merrill Farm according to Stephen’s obituary. Also about this time, the eldest daughter, Rebecca, became the first child to “leave the nest” when she married Frederick A. Gerken, a foreman on the nascent Baltimore & Ohio Rail Road. The 1850’s brought prosperity to the farm and further changes for the members of the family. During this decade, Stephen would remarry to a woman named Nancy, her last name being unknown. His two remaining daughters would leave the home, as would his eldest son, Philip. Philip became a lawyer and settled in Lytle City, Iowa. The last family member recorded in the 1860 federal census entry was a young boy of 11 years of age, Henry (Gerken), who was Stephen’s grandson by his daughter, Rebecca. She and her German-born husband had followed the construction of the B & O Rail Road west to Fetterman and Grafton, (West) Virginia, where she died of tuberculosis in 1857. 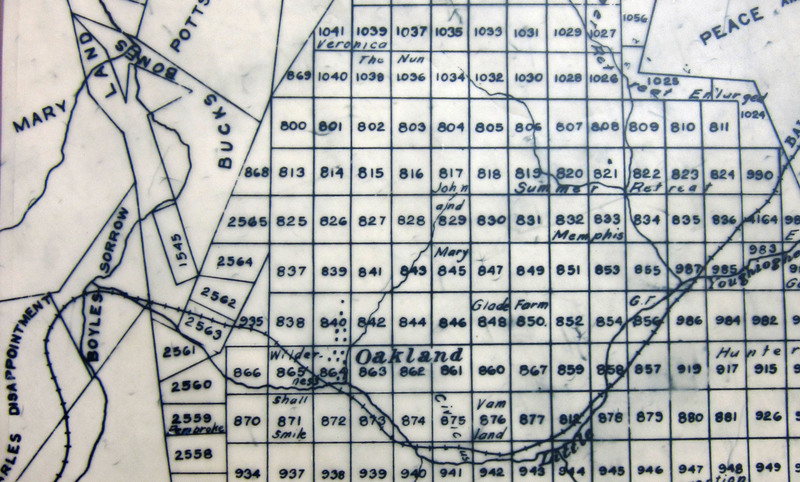 The census record did provide evidence of the prosperous nature of the Merrill Farm during the decade, listing an increase in the value of the real estate to $3000 and also a personal estate of $827 by 1860. The 1860’s saw all three remaining sons marry and leave their father’s home. Stephen (Jr) was the first to marry, going to Taylor County, (West) Virginia, to take a bride, Rachael Rohrbough. The couple appears to have left Maryland following the Civil War and settled in Illinois where Stephen had a long career as a photographer, owning his own gallery. The youngest son, Isaac Merrill, married Mary Ann Savage in 1863, she being from another early family of Allegany County. Nicholas married Isabella Kight in 1866, a local girl from another long-established family, being 16 years younger than her new husband. Both Isaac and Nicholas would establish their households on the Merrill Farm, as documented in the 1870 census. Misfortune would befall the Merrill family throughout the decade of the 1870’s. Nancy, Stephen’s second wife, died about 1870. The cause of her death is not known, and no death record has been located. She was reportedly buried in the family cemetery on the farm near Stephen’s first wife, Catherine. Following the death of his wife, Stephen would also lose three children over the next seven years. Stephen’s eldest son, Philip M. Merrill, died in Lytle City, Iowa, in October, 1870. The following summer, in June of 1871, Sydney Merrill Hessen would die of tuberculosis in Taylor County, West Virginia, as had her older sister fourteen years earlier. Tragically, Stephen’s youngest son Isaac died in 1877 of typhoid pneumonia, and was buried in the family cemetery near his mother. This left only Nicholas to manage the Merrill Farm, all the while looking after his aging father, his brother’s widow and her four young children, and his own wife and small children. He also continued running his own business as a butcher. His meat market stood near Wilson’s Run, east of Second Street in Oakland. In the midst of these sad events, Stephen Merrill began to decline in health and, not unexpectedly, in his financial well-being. His obituary stated that “He had been confined to his bed for ten years previous to his death”. With advancing age, poor health, and limited assistance with running the Merrill Farm, Stephen Merrill fell into debt. Finally, in 1879, he was forced to secure a debt of only $163 with the deed to his 200 acre farm. As his situation continued to deteriorate, Stephen Merrill refinanced his debt, paying off the first mortgage in 1881 by acquiring a new debt of $363, again with the Merrill Farm as security for the loan. Stephen Merrill died in his home at the Merrill Farm on Friday, September 28th, 1883. He had lived on the land that he had cleared and settled for over 50 years. He endured the death of two wives and four children in his lifetime. The Merrill Farm went into foreclosure in 1884, but was brought back into the family by Stephen’s daughter-in-law, Isabella Merrill, in 1885. She purchased 110 acres of the original farm which continued to be held by Stephen’s descendants until 1952, when the property was sold and ultimately parceled out. Thanks I enjoyed reading your article. Stephen Merrill is my Great Great Great Grandfather! !